If you’ve ever been frustrated by Snake or Tetris, congratulations, your nightmare has arrived. Itch.io user and indie developer Nyunesu is known for making unique games from random ideas, but their latest creation might take the cake. 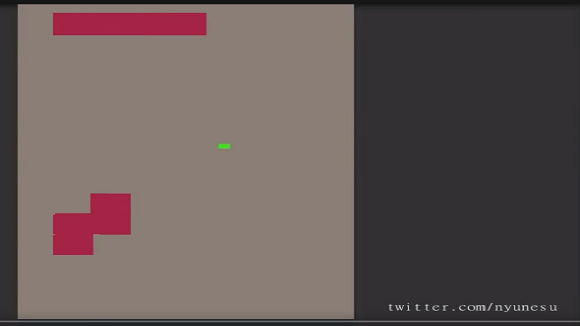 Snetris is a mashup of Snake and Tetris, and Reddit is abuzz with the concept. The idea is that each tetromino is individually controlled by the player and shifts its shape as it moves around the screen. Eating the dot on the screen, vis-à-vis Snake, freezes the tetromino in place. From there it’s standard Tetris stuff: drop the piece, form a line, and repeat. Nyunesu posted Snetris as a part of #ProTober, an October-long challenge that sees game developers coming up with a new gameplay concept every day of the month. The hashtag is a fun browse, and spotlights a great deal of creativity from the micro-game community. If you have a free few minutes, I suggest taking a look at some of the unique stuff that devs are coming up with.